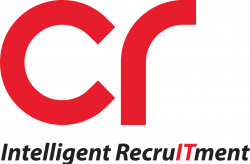 Expertly networked, Code Red Associates supply specialist Contract Consultancy & Permanent IT Recruitment solutions to organisations within niche markets & specialist communities. The Social Housing & Public Sector Technology division at Code Red Associates has a number of decades of combined experience that has been built on consistent delivery, a wide network of contacts, unparalleled market knowledge and strong relationships. Experienced from top to bottom, Code Red Associates are equally adept at providing Strategic /Executive level appointments such as a CIO, Head of Service, Programme/Project Manager or Business Analyst; as we are providing Technical Resource from Architects, Software Developers, and Business Intelligence & Data Warehouse specialists to Infrastructure & Networking experts.